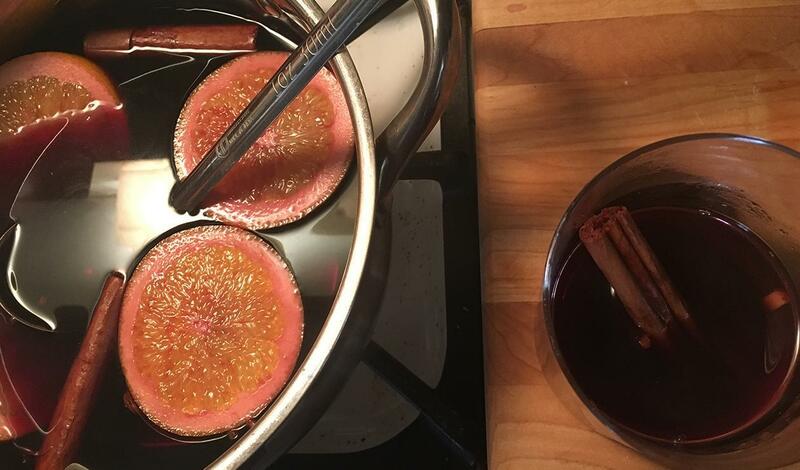 This is a very traditional mulled wine made around the holidays and is really fun to make. In a stock pot add the wine, orange slices, spices and water. Bring to a low simmer. Using the fueranzuegbowle pour the rum over the sugar cone and light it on fire. Be careful when doing this. Cook until the sugar is dissolved. Ladle into heatproof glassware and enjoy slightly warmed.